Treasure Coast Event Listing and Advertising Website. One aspect of business ownership that is often overlooked is advertising and promoting your business. As our clients succeed, we succeed. We have partnered with SupportStLucieCounty.com, Inc. to provided web-based marketing and promotional materials to our clients at a reduced rate. 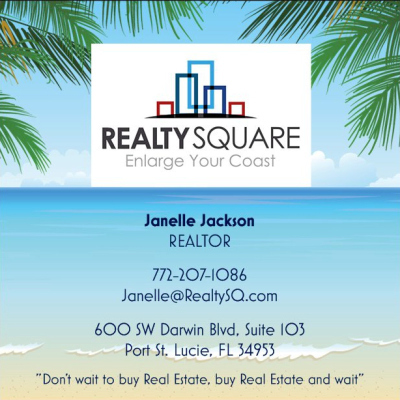 Real Estate Agent, Janelle Jackson.